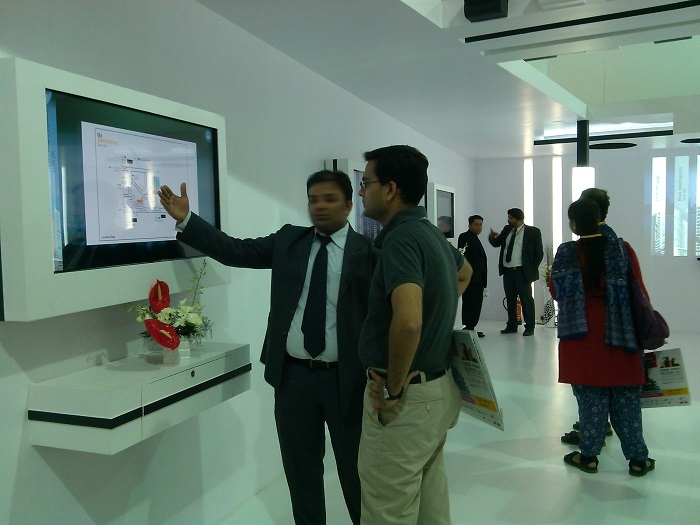 Visitors appreciated 3D view of the new property by Kolte Patil at a property expo in Pune. 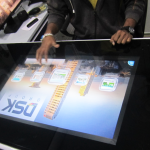 Objective: Showcasing company information and project videos on multi touch kiosk. Brief: Credai is an exhibition dedicated to promoting the Real estate sector and the most distinguished Real estate companies. It sees participation from all the major players in the real estate industry. Every participating company tries to do something unique to attract prospective buyers to their stall and stand out from amongst all the other players. We helped one of the biggest Real Estate companies in the region to differentiate itself and create a breathtaking experience for its visitors. 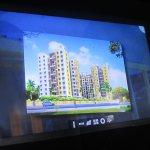 Our client Kolte Patil Builders used MagixKiosk to showcase videos of their newest properties. 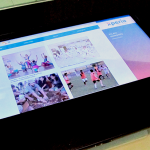 MagixKiosk being a multi-touch device has an advantage of letting potential visitors experience property videos with significantly more detail and clarity. 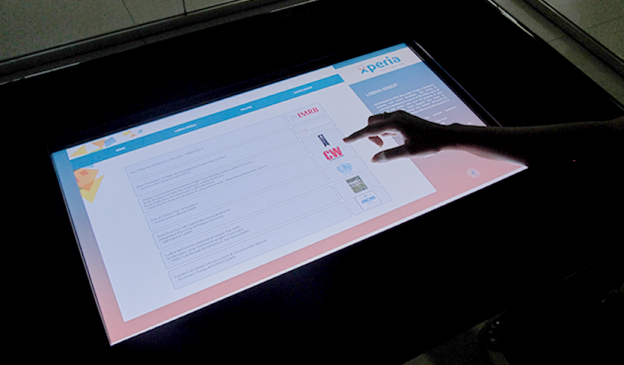 Multi touch kiosks were placed at two separate locations in the exhibition. 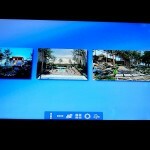 Guests could experience 3D view of their latest projects and control it from every angle. Kolte Patil Builders also showed the previous projects on MagixKiosk. 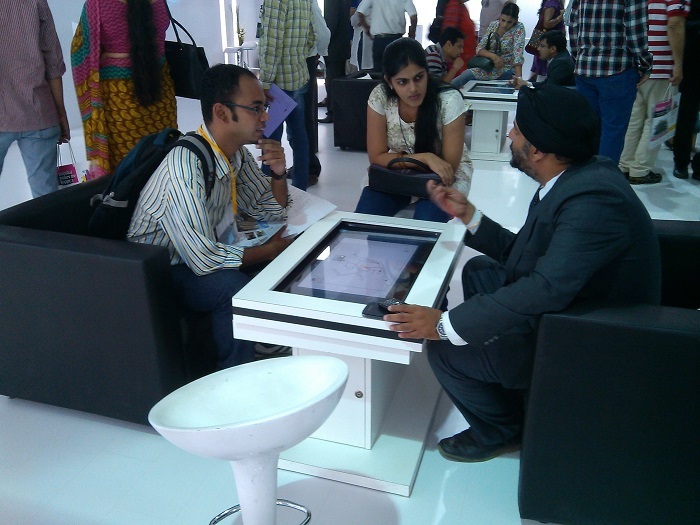 Our software allowed them to catalog all their projects in a way that the discovery becomes enjoyable for the visitors, most of whom spent many minutes at the Kolte Patil stall. 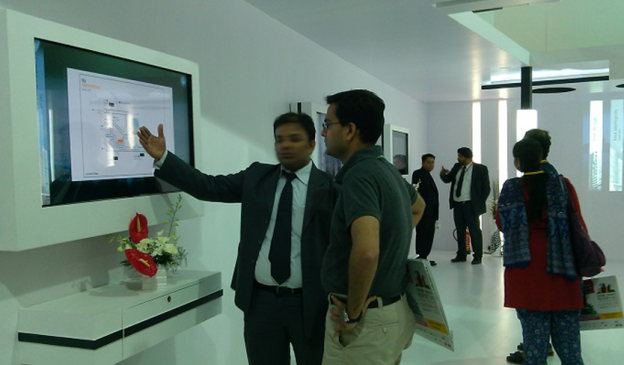 Guests really appreciated interacting with the highly immersive content on the multi-touch kiosk. 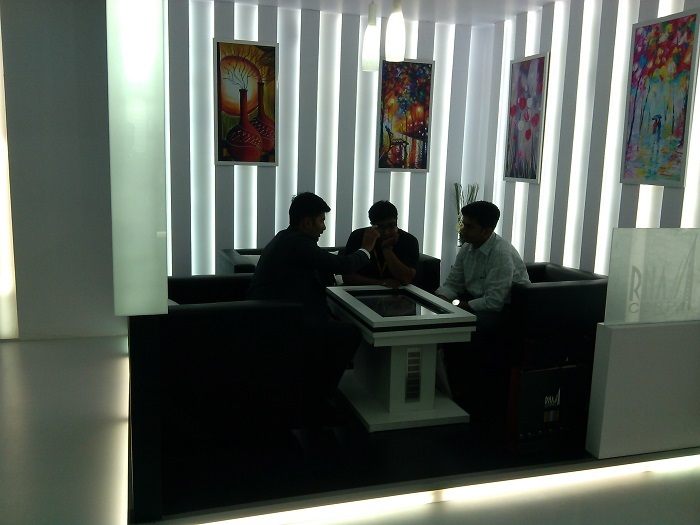 Visitors thronged both the exhibition and our client’s stall. Impact: Number of bookings for homes was significantly higher with the use of MagixKiosk. 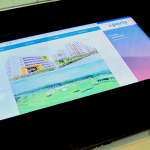 This entry was posted in Event and Media, MagixTouch, Real Estate and tagged Credai, Credai Property Expo, Exhibition, kolte patil builders, MagixKiosk, Multitouch MagixKiosk, Pune, Real Estate, real estate exhibitions on January 22, 2015 by Touchmagix. Brief: The real estate industry is fiercely competitive and it is getting harder to woo the prospective customer. 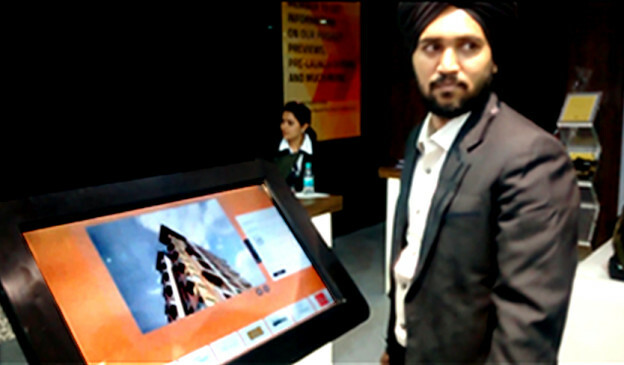 When one of Mumbai’s prominent builders decided to have a product showcase at one of the most prominent real estate exhibitions, they decided to use the interactive capabilities of TouchMagix’s interactive technology to do so. Bhimjyani Realty participated in recent the MHCI Real Estate Exhibition and showcased some of their upcoming properties. However, they wanted their project showcase to stand out from the rest and leave a lasting impression on the potential customers. 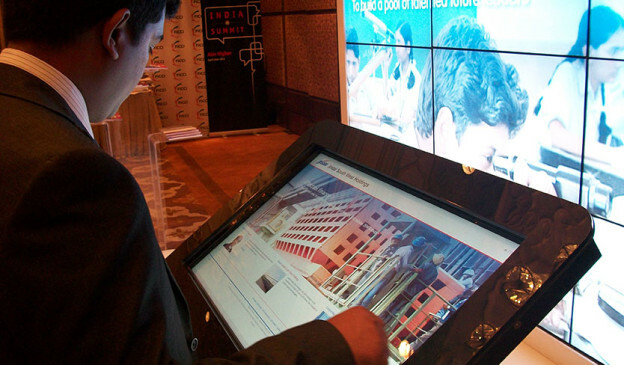 To do so they deployed the TouchMagix MagixKiosk™ to present project information through visually enriched interactive content. The visitors could see the project designs, features and specifications and also have a look at the project floor plans. 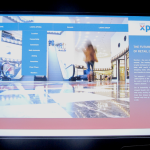 Since the content loaded on the MagixKiosk™ is customizable, it also allowed the prospective buyers to zoom in on the visuals for a closer look. This plug and play kiosk helped our client make a huge impact on their visitors since it provided a highly enriched, interactive and differentiated experience. Impact: The interactive nature of the display attracted a large number of walk ins and generated a lot of interest amongst the visitors of the exhibition because of its innovative and engaging format. This entry was posted in MagixKiosk, Real Estate and tagged corporate event, Event, Event Branding, Exhibition, Exhibitions, interactive magixkiosk, MagixKiosk, MagixKiosk Multi-Touch, Real Estate on August 28, 2014 by Touchmagix. 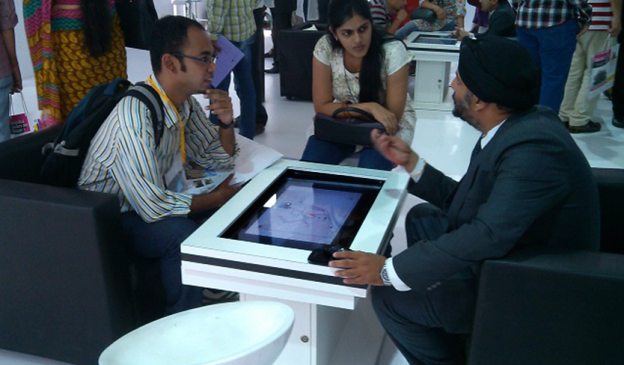 We convereted a regular table to an interactive on for a leading Real Estate Developer. Brief: Real Estate developers are always looking for ways to differentiate themselves in the way they present project information to their customers and Interactivity has played a role in these efforts for some time now. 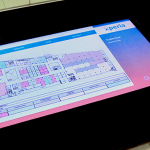 While specially designed Interactive content that allows the developer to show off project and floor plans, features and other specifications in an attractive manner has tremendous impact it does suffer slightly from the disadvantage of requiring special kiosks or similar hardware – not any longer. A leading developer wanted to extend the Interactive appeal to the workspaces of the staff so that their interactions with prospective customers could also be enriched. This challenge was addressed by retrofitting the existing tables with Interactive surfaces. 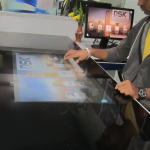 An attractive glassy surface set flush with the table had the software required to bring the visually impressive interactive content to life right at the work space. This allowed them to support their discussions with prospective customers with highly impactful visuals. 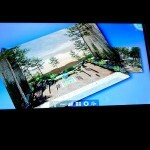 This entry was posted in Advertising, Hospitality, MagixTouch, Real Estate and tagged Interactive Surface, Multi-touch Film, Real Estate, touchmagix on May 6, 2014 by Touchmagix. Tata Housing impresses the visitors to their office using a differentiated approach to present corporate and project information. Objective: To use a differentiated approach to presenting corporate and project information. Brief: Tata Housing is among the fastest growing real estate companies in India. Their focus is on higher end, highly differentiated projects aimed at discerning buyers. The promotional materials and approaches they adopt have to adhere to the sensibilities of this audience. In a customer experience centre that is coming up at their corporate office in the heart of New Delhi is a prime example of this approach. 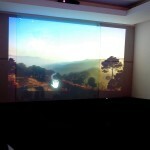 A MotionMagix Interactive Wall is deployed with visually appealing content from the corporate brochure and one of their upcoming projects in the hills of Himachal Pradesh. The effect is dazzling and the interactive possibilities magnify the impact. Visitors can get the information they want and at the same time cannot escape the conclusion that this is a real estate developer with a difference. In a crowded space with a lot of established players vying for the attentions of the premium buyer this goes a long way in creating a stamp of Tata Housing’s image in their minds. Impact: The prime need is for Tata Housing to impress upon the visitors to their office a perception of themselves as a company that stands apart from the competition – an effect that the Customer Experience Center goes a long way to support. 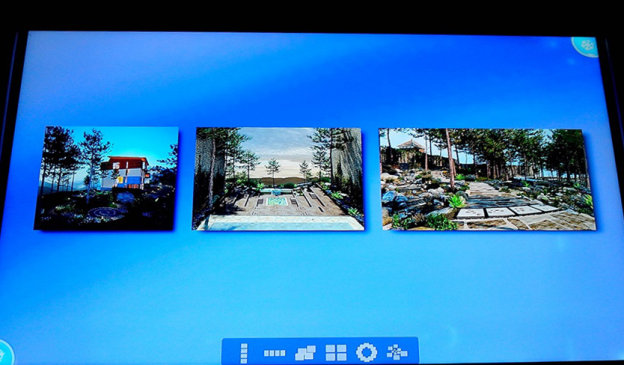 This entry was posted in Corporate and Industrial, High Tech, Real Estate and tagged interactive wall, motionmagix, MotionMagix Interactive Wall, Real Estate, TATA Housing on July 29, 2013 by Touchmagix. 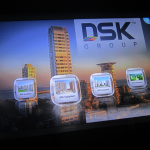 A leading Real Estate house in India, used MagixKiosk™ to showcase their exclusive properties. 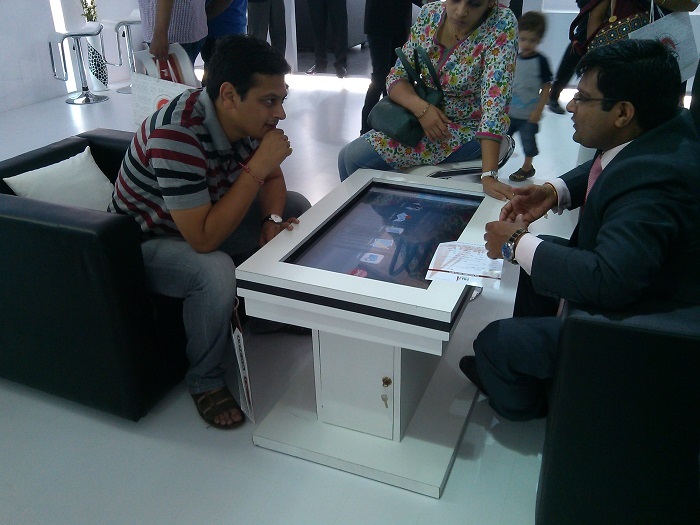 A leading Real Estate house in India, used our MagixKiosk™ to showcase their exclusive properties to the target audience. 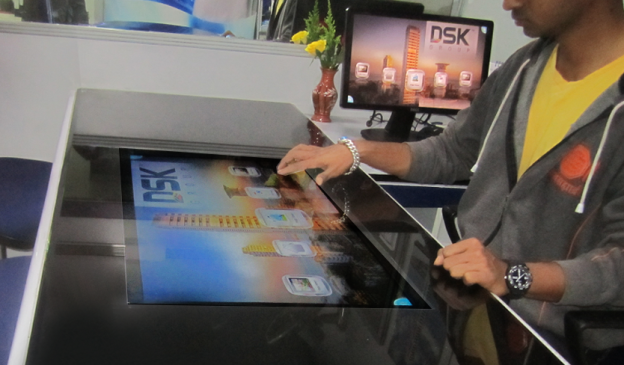 The MagixKiosk™ enabled its users to browse through ultra-luxury amenities and visualize their dream home. An instant hit across all age groups, the plug and play MagixKiosk™ helped our customer drive results in a limited time. This entry was posted in Advertising, Consumer and Retail, Real Estate and tagged 24K Gliterrati, Event, Exhibition, Expo, MagixKiosk, MagixKiosk, MagixTouch, Real Estate, touchmagix on May 28, 2012 by Touchmagix. Rohan Builder exhibited at Property Expo. Brief: Rohan Builders is a leading real estate development and infrastructure management company in India. With multiple projects and work streams under their work band, they wanted to use innovative methods to display all their work in one way. They wanted a fun and entertaining way to educate their target audience of their work. 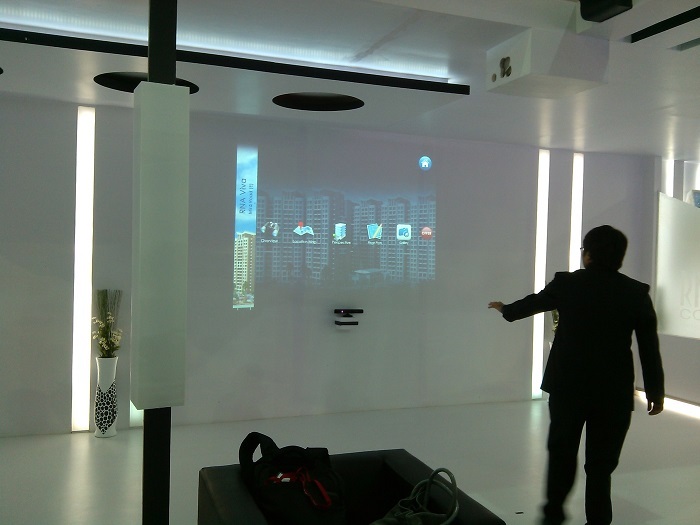 We created a MotionMagix Interactive wall with capabilities of interacting with the content using simple hand gestures. A carousel menu, which could be rotated by moving a hand sideways, displayed icons of all projects they had done. On pointing towards a specific icon, it would flash open related PDF, Pictures of Videos. 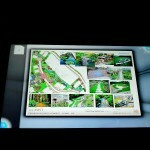 Users could flip through pages, sees videos, see pictures by moving hands sideways and pointing to icons. All this was backed by an electrifying background, stopping people on their way and inviting them to interact with this fabulous display. 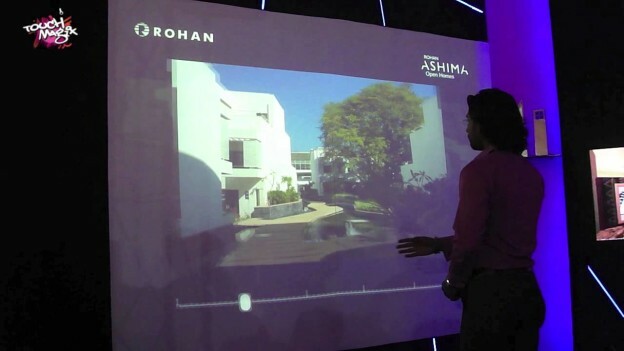 Impact: Rohan Builder exhibit at the Property Expo won accolades for showcasing information in an innovative way. The exhibit saw most number of walk-ins, interactions and enquiries in the expo. 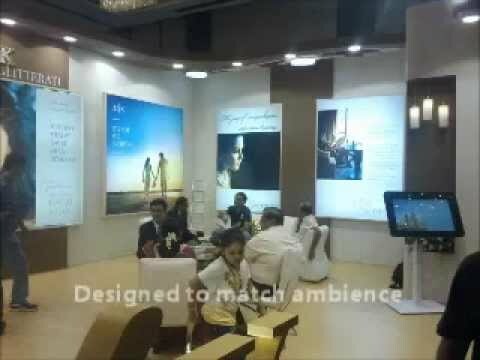 This entry was posted in Advertising, Exhibition, Real Estate and tagged Advertising, Construction, Expo, interactive wall, MotionMagix Interactive Wall, Property Expo, Pune, Real Estate, Rohan Builders on February 7, 2011 by Touchmagix.